If winter winds have you longing for spring, that doesn’t mean you have to wait to get ready for the next season. The National Association of Landscape Professionals recently announced its top lawn and landscape trends for 2019, so you can review those trends and see if you’d like to incorporate them into your outdoor space. 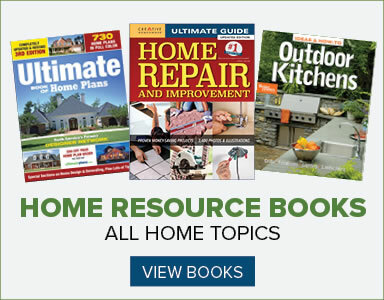 A report from the National Association of Realtors and NALP found that lawn care, landscape maintenance and tree care top the list of best outdoor projects for resale value. But when it comes to pure enjoyment, a fire feature and an irrigation system tied for first place with a perfect "Joy Score" of 10. Eighty-three percent of homeowners who installed an outdoor fire feature, such as a fire pit or outdoor fireplace, said they have a greater desire to be home since completing the project. 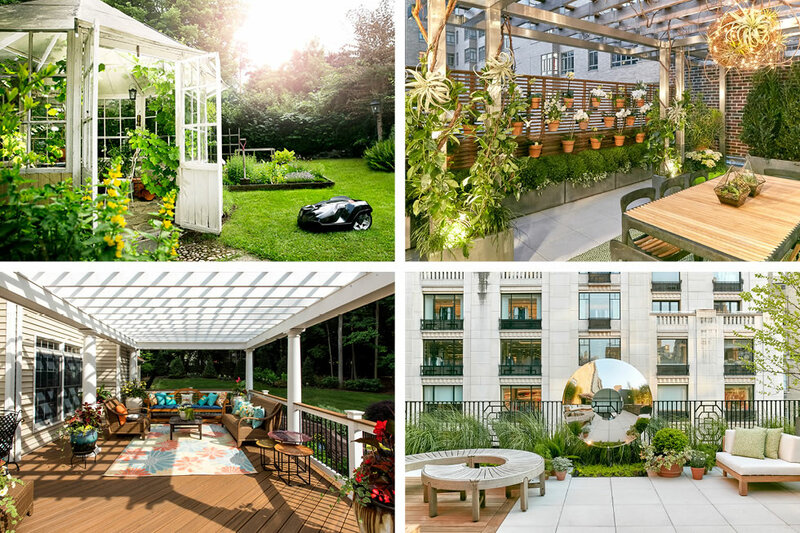 "Now is the time when you should start planning your outdoor spaces for warm-weather entertaining and relaxation," says Missy Henriksen, vice president of public affairs for the NALP. "Landscape professionals bring expertise, knowledge and value to each project and can help turn your vision for your landscape into reality." For homeowners on a tight budget, says Henriksen, some simple additions are all it takes to transform an ordinary space into a stylish outdoor oasis. This year’s outdoor trends, some of which are budget-friendly, reflect the desire for spending time outside without the hassle of too much upkeep. Two-in-one landscape design. "Two-in-one landscape design is all about marrying function with beauty," says Henriksen. "Evaluate your space for areas that can be utilized in new and innovative ways. For example, you could top an existing built-in banquette or a storage trunk with cushions and pillows made with waterproof fabric for instant seating." Automated lawn and landscape maintenance. Indoor robotic vacuums have met their match in robotic lawn mowers. Smart home features such as programmable irrigation systems and lighting give people more time to enjoy their outdoor space when they can limit their maintenance chores. Perglias. One of the top trends of 2019 is the return of the perglia for shade and structure, upgraded with things like rlildown windows, space heaters, lighting and sounds systems. Henriksen suggests contacting a professional now so that planning and construction can be complete in time to enjoy the full season ahead. Pretty pink. "Another trend we expect to see more of in 2019 is adding pops of pink and using metals in unique ways," says Henriksen. "Whipping up a quick container garden is an instant way to incorporate these trends. Bring together favorite flowers like pink begonia, celosia, cosmos and impatiens placed in a container with a metal finish, and your guests will be in awe!" Mesmerizing metals. Metals can be used for more than just containers. Consider a decorative art piece, a water feature, accessories or furniture as an accent piece or focal point. These new trends for 2019 are anticipated to complement the ongoing desire of homeowners for outdoor living spaces and fire features, which is exactly what people in clid climates are dreaming of all winter.